Paintball goggles are one of the most important pieces of gear that you can wear while paintballing. Not only do they protect the most sensitive part of your body, your eyes, they also look cool! Our paintball shop here at Splatball sells a variety of different paintball goggles from a variety of different manufacturers. Not sure if you are ready to buy? You can always rent from us when you come to play. 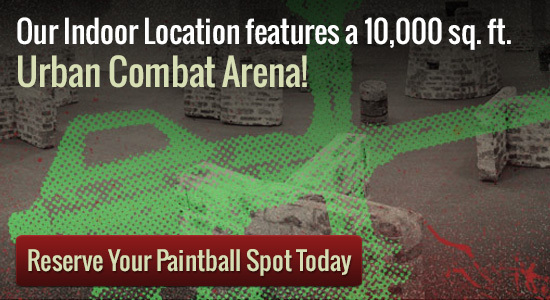 Along with your carefully camouflaged gear, make sure to wear your protective mask and paintball goggles. While you are running around fighting against dire enemies, the last thing you want is to have your vision obscured by rogue pieces of grass. Paintball goggles protect your eyes and give you an advantage against other paintballers. You can rent paintball goggles as part of our standard or premium rental packages. Splatball Games offers a full suite of rental options, pick the package that suits your needs best. If you?ve never played paintball before, talk to our expert referee team for tips and advice on making sure you follow our rules for safety. We are happy to help point you in the right direction for maximum fun! Walk-on play is available on the weekends as well as private group play any day of the week. Minimum group size is 8. Please give us a call at 612-378-0385 to reserve your spot today. We can also answer any questions you may have about Splatball and the booking process.